When it comes to texturising sprays, I've tried my fair share from the shelves of the drugstores. But which one is my favourite? 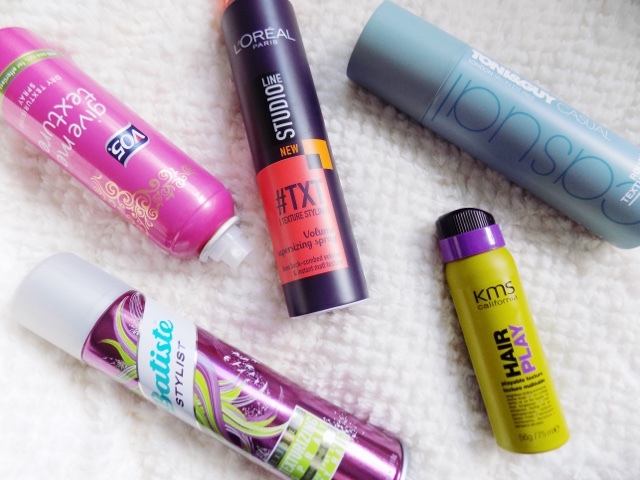 After my Dry Shampoo Face Off went down so well I thought I would re-visit my hair stash and the product I have the most of is texturising sprays. This Face Off is going to be different than others I have done, as I will be sharing my least favourites, the mediocre ones, as well as my absolute faves. 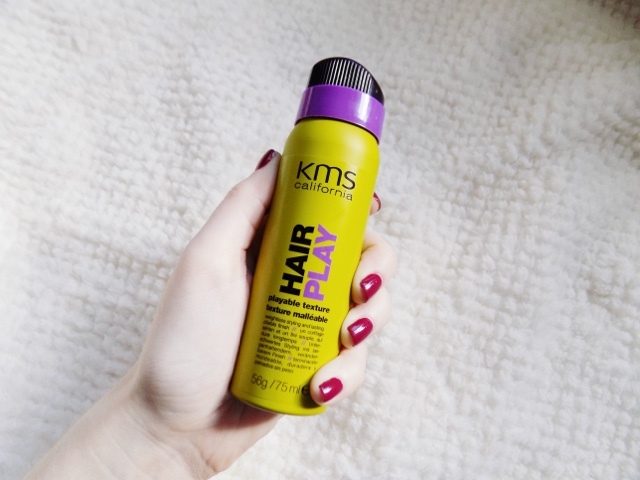 Alright so starting off with the most expensive of the bunch and probably my least favourite, the KMS California Hair Play Playable Texture Spray was in a subscription box so it's only the mini size, and I love to have this in my travel bag as it does a good job of adding a bit of grit and movement to my hair. I haven't had much of an opinion on it as I don't find it does as much as other sprays which is why I haven't repurchased the full size as it's £13.55 and I just don't think it's worth it. But it is a good mini travel size to have just in case. 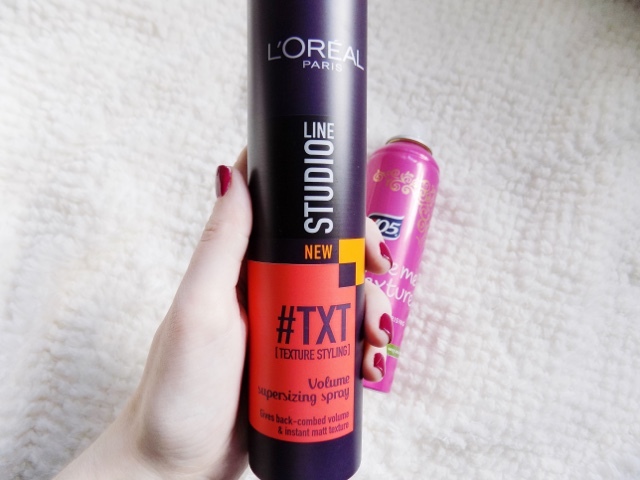 Next is the L'Oreal Studio #TXT Texture Styling Volume Supersizing Spray (i.e. longest name ever), this is only £3.79 and it's a great product for a volumising, texturising spray which also has a bit of a hold too. It has everything I want in a spray and more. It's a great product but I just don't think this is my favourite. Another one from the drugstore is the VO5 Give Me Texture Dry Texturising Spray, which is one of the very first that I ever tried. I like this one as it is a basic, does what it says on the tin texturising spray so whenever I am in a pinch, I've ran out of my others, this is the one I have in my collection as a back up as it does what I need it to. I also really like the VO5 Plump It Up Dry Backcomb Spray which is also £4.19 and this is more focused towards volumising as well as adding some texture to the hair. Another basic product which I always go back to. I always thought Toni & Guy was a premium hair brand, but it's available in the drugstores and there is some great products. I really like the Casual range as it gives you that un-done, messy, I just crawled out of bed kind of vibe which I am all for. The Casual Rough Texturiser is priced at £7.19 so the higher end of the price bracket but I still really like this. 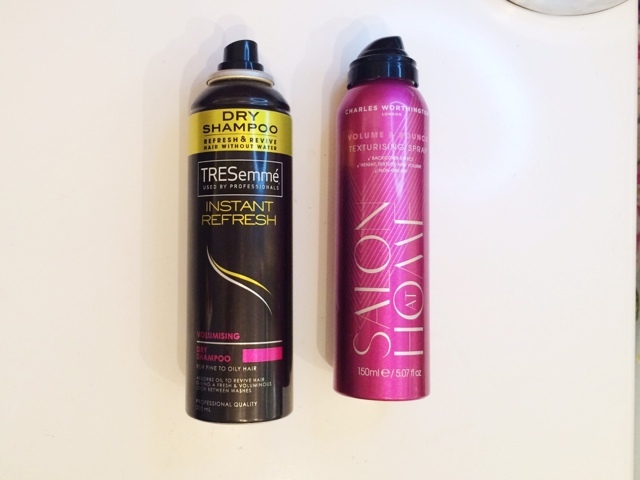 You can't feel it in your hair, and you can spray as much as you like in your hair and it's still un-detectable. 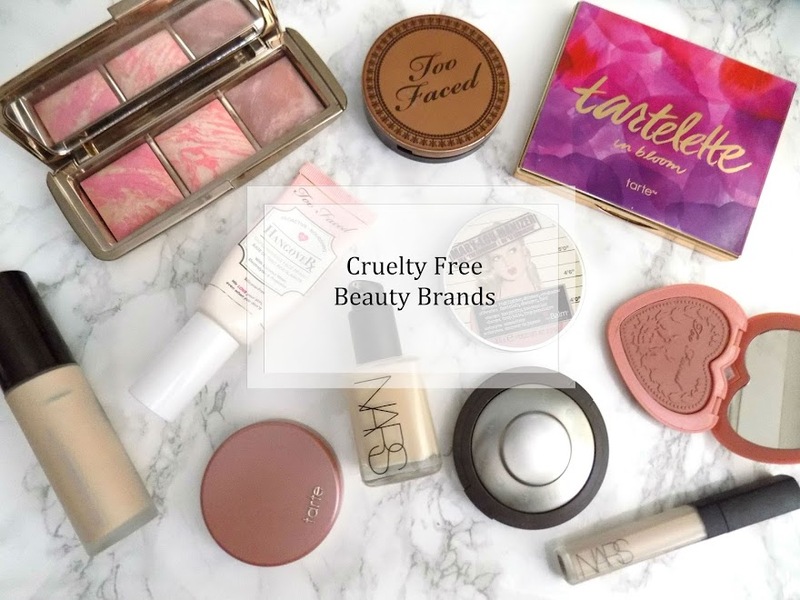 I am looking into trying some more of their products from the different ranges as I really like them and when the 3 for 2 offers are on it's a great time to buy. One of the new-ish ranges to the drugstore is the Batiste Stylist hair products. 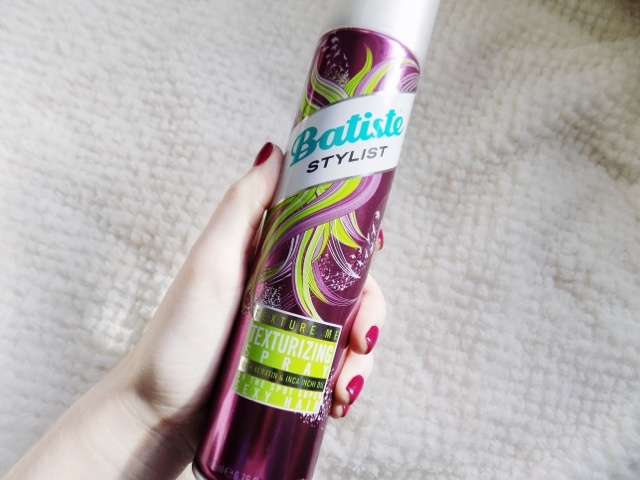 Batiste were mainly known for their dry shampoo but they decided to branch out and give some different products a go and I for one love the range. 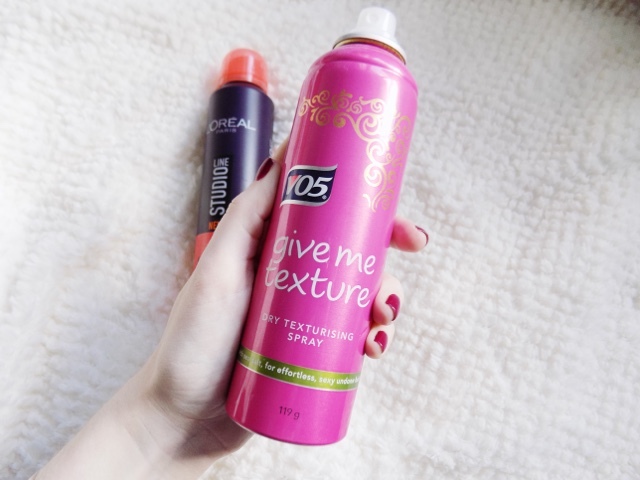 I've done a review on the whole line but the Texture Me Texturising Spray is one of my favourites from the range, along with the Oomph My Locks XXL Volume Spray. 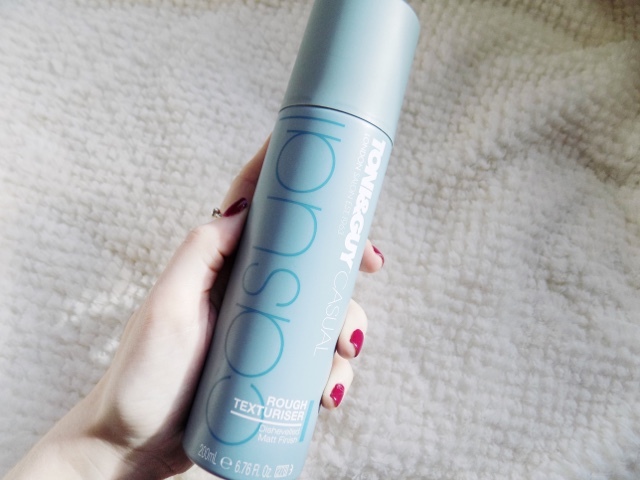 As they just do exactly what you need them to do and for the price, this line has my second favourite texturising spray so I hope you check it out along with my review of the entire line here. One that was in my 2014 faves was the Charles Worthington Volume & Bounce Texturising Spray now this is an incredible product and I really love how this one gives texture but also adds just enough hold to keep your style in place and lasting for hours longer that what it does with any of the other sprays I've mentioned today. I don't have any of this one currently so I had to re-use a photo but I love this stuff and I will definitely be picking this up again once I use up some of the others I have. This is £6.99 so still a great price and it's sold in all drugstores and some supermarkets also. 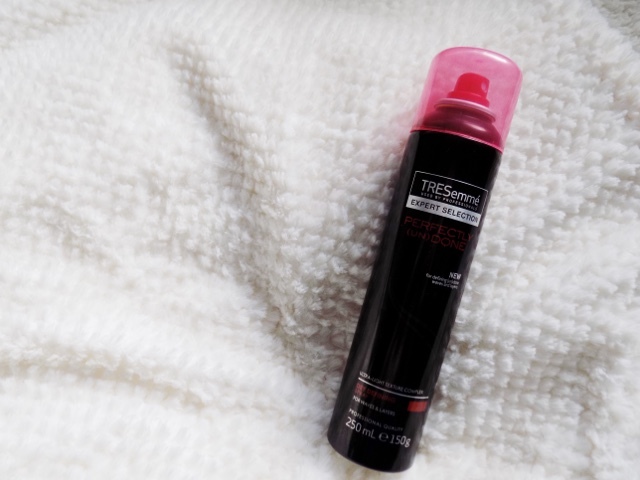 And finally, onto my current favourite, the TRESemme Perfectly Un-Done Dry Defining Spray, and although this doesn't have the words texture in it, this is still a great product for adding some definition and texture into the layers of your hair to make it look 10 times better than before. Plus this leaves no trace and you can comb your fingers through your hair, you can brush it out, you can add more than you normally would and you wouldn't be able to tell you have anything in your hair. This is my current favourite and for only £5.49 it's a great buy and I highly recommend you checking it out if your hair is lacking in texture and un-done-ness. That's it for today's face off. I know it's different to normal but I had a lot of products I wanted to mention but didn't want to drag this on for too long. Let me know what your favourite hair styling products are, as I am thinking of carrying on this hair face off focus thing and visiting hair care, sea salt sprays, oils etc. so let me know if that's something you would like to see.